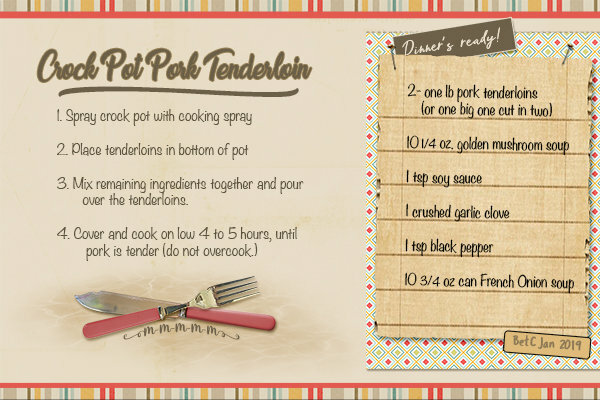 I never thought you could make pork loin in a crock pot and it sounds like your yummy marinade would make it very tender! I like your pretty card and borders and the utensils at the bottom! I do like port so I think I may need to try this recipe as is sounds delicious. This looks so simple to make and a neat card design. Delicious recipe, delicious card! I love the color combination, Betty! Your cards are always beautiful (and yummy)! !